Pani Puri & Jazz? Purely Pondicherry! Where else can you chill out with incredible jazz and fresh, homemade pani puri and budgies? Only at one of Kasha Ki Aasha’s Purely Pondicherry Performances! 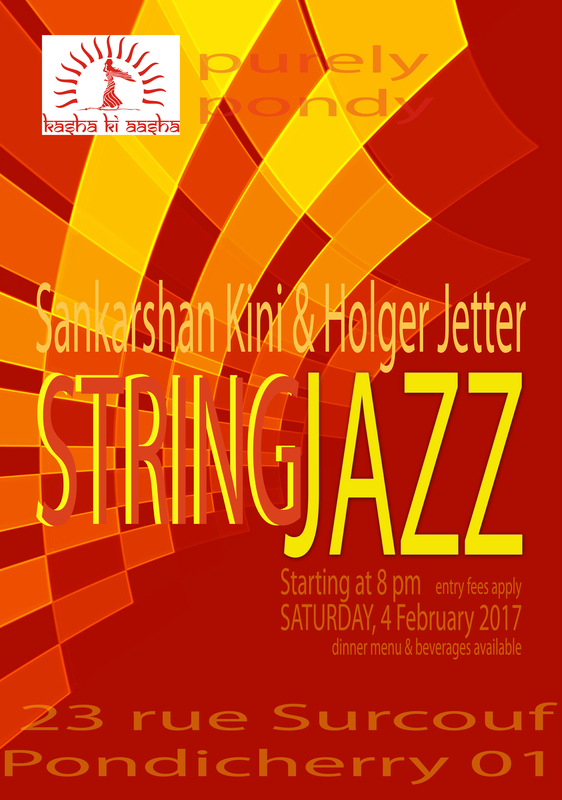 Kasha Ki Aasha’s great performances continue with versatile Jazz duo, Bangalore born guitarist and vocalist, Sankarshan Kini and Holger Jetter, originally hailing from Germany, on strings. 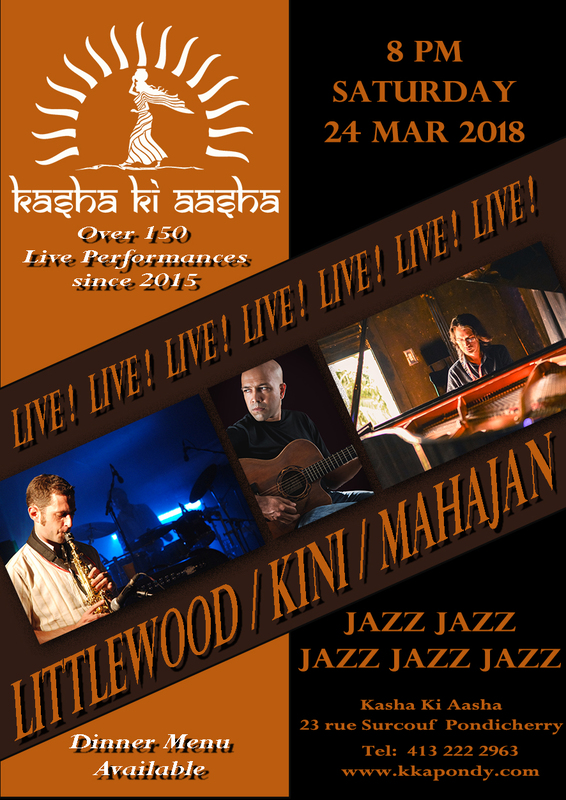 Music starts at 8 but come early and enjoy some incredible South Indian delicacies from Kasha Ki Aasha’s homestyle kitchen and our beverage menu. Sorry, we do not accept reservations.